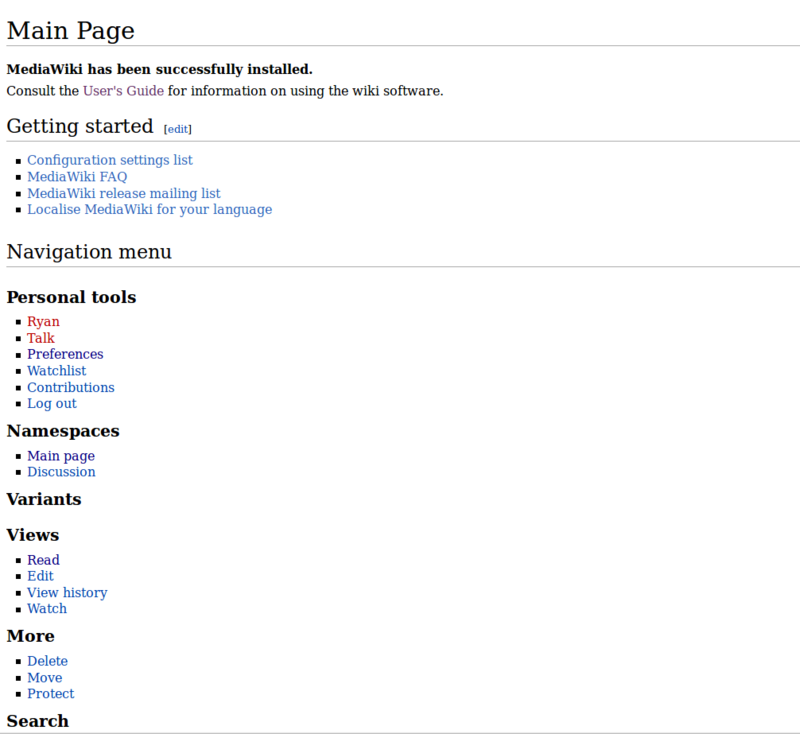 I just did a fresh installation of MediaWiki and used the new 1.26.0. The installer didn't look the way I was used to, but everything went smoothly and there were no errors or warnings. Once LocalSettings.php was created, I logged in and everything still looked wrong; almost as though there were no CSS being loaded, but not quite. I checked via Firebug and CSS is indeed being loaded. I went into the preferences and tried the other three themes and they all displayed correctly. I am using a Firefox browser on Mint with a freshly-cleared cache, in case it is some kindof browser issue. I am attaching a screenshot of how Vector currently looks for me. T123677: Skin Vector throws a startup error, and does not load at all. Ryan7273 raised the priority of this task from to High. Ryan7273 added a project: Vector. Ryan7273 added a subscriber: Ryan7273. Hi @Ryan7273, thanks for taking the time to report this! Has this been brought up on https://www.mediawiki.org/wiki/Project:Support_desk already? It looks like it or a similar problem has been posted there since I posted this. They don't seem to have made it very far in regards to identifying what's wrong. As suggested by the Support Desk thread, I looked at https://www.mediawiki.org/wiki/Manual:Errors_and_symptoms#The_wiki_appears_without_styles_applied_and_images_are_missing. Everything mentioned checks out as correct. I forgot to tell you in the original ticket that I installed 1.25.3 on November 23 on the same server without running into this problem. That install was completely removed before starting this one, because there was no content yet. Following the next bit of advice in the thread, I looked at URLs containing "only=styles" and did see errors. I am on a shared hosting environment, so I created a new directory with chmod 777 and pointed $wgTmpDirectory to it. The error changed to point to the new directory. Unsure why it wouldn't be able to create something when it has full permissions. Interestingly, I looked at the same file when using the MonoBook skin and I see the identical errors. This despite the site loading correctly. Unsure if it is actually part of this issue. I am on a shared hosting environment, so I created a new directory with chmod 777 and pointed $wgTmpDirectory to it. If the error you pasted here is in fact the error you got, then it would seem the directory you configured in $wgTmpDirectory is not being used. The permission are probably fine, but Less Parser is using the default /tmp (at the root of your hosting space) instead of the directory you configured. which is the directory I created for it. Apologies for the confusion and thanks for the quick response. I am experiencing the same issue. If there is anything I can do or add, please let me know. Wondering if https://www.mediawiki.org/wiki/Topic:Stvdbhcbttk5aa9d is the same issue. @Ryan7273 can you check the output of <?php phpinfo(); Is there some open_basedir or some other restriction in place? saper moved this task from Backlog to Restricted environments on the MediaWiki-Installer board. 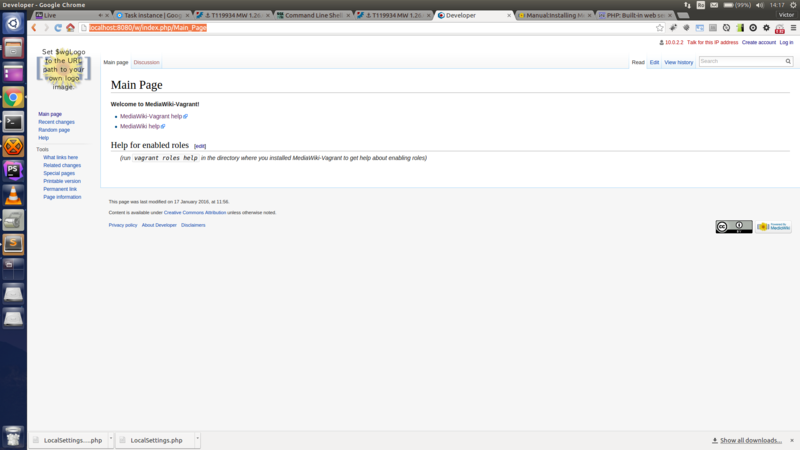 There are open_basedir restrictions in place, but the root of the wikimedia install is included. Which other restrictions would you like me to check? Looks like a perfect candidate to be a reason. open_basedir is tricky, I haven't yet had time to figure out all the things that need to go in there. Is your $wgCacheDirectory in you open_basedir as well? I think all base dir violations should be nicely logged. Check this post to get a useful error message that may give the reason of the failure. Same issue, 1.26 on IIS8 with PHP5.6. I have open_basedir disabled. MW is successfully creating a file I10n_cache-en.cdb in the cache directory, so that doesn't seem to be the issue. It's windows\temp and has write permissions. file uploads are working, so don't think that's the problem. Where can I found out more about the less implementation, since that seems to be where it's happened? Trying to implement a vector-based skin (metro) and it does the same thing not surprisingly. Could not create directory "mwstore://local-backend/local-public/7/72"
However I note it appears with Monobook as well, and it appears to load fine. I've been tracking file access with ProcMon and there's no ACCESS DENIED errors occurring, so I don't think it's a simple write permission problem. FYI, a completely fresh install is working fine, so clearly this is either (a) a clash with something existing loaded in localsettings.php or (b) a problem in the upgrade process. Sorry for the delay in replying. I had reverted back to a previous version to avoid the bug and had to re-install to try things out. A fresh installation of 1.26.2 still presents the problem I reported. I am on Linux, so the Windows-related suggestions do not apply. The problem is indeed related to my open_basedir. When I commented it out in the php.ini, everything seems to work perfectly. This is not a good long-term solution, but I plan to spend the next hour or so figuring out exactly which of the directories suggested above need to be included. I'll report back when I know more. The solution is the add /tmp to the open_basedir. As I am going to be deploying to a shared hosting environment, I would strongly prefer NOT to do that long-term. Any chance I can designate a different location for the temp directory? So basically, set up $wgCacheDirectory to a folder writable by MediaWiki. That, of course, is not an option during the installer. That said, not having a working temp dir could break applications. Be sure the TMPDIR env var is set correctly (on unix systems) and see also this stack oferflow question that also tells how to override it in a PHP script. Ciencia_Al_Poder edited projects, added Google-Code-In-2015; removed MediaWiki-General-or-Unknown. Ciencia_Al_Poder added subscribers: Nemo_bis, Reedy, Legoktm and 2 others. Victorbarbu added a subscriber: Victorbarbu. 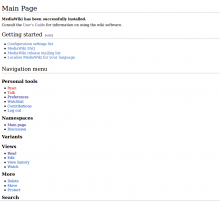 I downloaded the MediaWIki 1.26.2 from mediawiki.org. I completed the normal installation process and my Wiki works perfectly. (see the screenshot). I think this problem comes from simply mis-configuring the wiki. Marking it back as "Open" so people don't get offended. Looking at the reports, I'd also say the cause is a misconfiguration of PHP, either because of open_basedir restriction not including the default temp directory, or permission issue on the temp directory. If that's true, this task could be closed as invalid. Still, maybe there's something MediaWiki could do to detect this situation and give a reasonable error message about the problem, or make the LESS parser work without cache at all, etc. For example, the installer may detect this issue on the prerequisites check and warn the user about not having access to the default PHP directory, because $wgCacheDirectory can't be changed during the installer. I can change open_basedir during installation and then use this afterwards. This is a good solution I can live with. Since my problem was caused by a PHP configuration issue, i would agree with either a useful error message or a note in the installation instructions or FAQ. Aklapper removed Victorbarbu as the assignee of this task. What if people have file permissions locked down? What if the webserver user can't write to the folder? @Reedy, Modified my previous comment. Krinkle raised the priority of this task from Lowest to Low. ananayarora added a subscriber: tstarling. I like how this was recognized as a bug in the Vector Skin, and then ended up being fixed as a major problem in MediaWiki.